Poll: Have you ever cheated in an exam? THE MINISTER FOR Education is bringing in a new law to help prosecute companies that offer to write essays for third-level students in return for payment. It’s part of an ongoing plan to ‘protect’ Ireland’s education system by cracking down on students who try to get higher grades without doing the work. Almost 300 students have been caught cheating in Leaving Cert and Junior Cert exams over the past five years – and that doesn’t include everyone who cheated and didn’t get caught. Be honest. 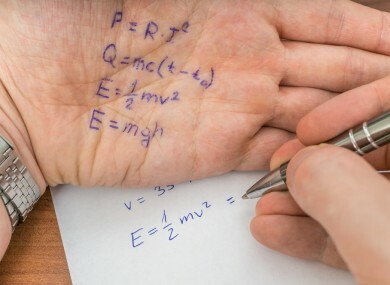 Have you ever cheated in an exam? Email “Poll: Have you ever cheated in an exam?”. Feedback on “Poll: Have you ever cheated in an exam?”.